Orders with a total amount below $10 will not be processed. Chains of bright pink flowers dangle on this woody-stemmed vine, which climbs with small soft tendrils. 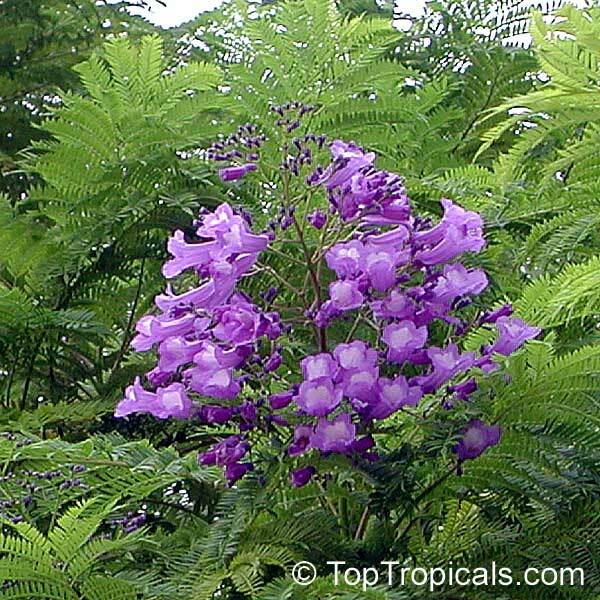 These tropical flowers are heart-shaped, blooming all year in tropical conditions. 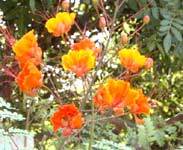 Drought-tolerant, prefers full sun, will grow in almost any soil. One of the most beautiful flower tree in the tropics. 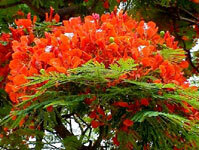 In summer, the tree canopy is covered with bright scarlet orange blossoms. Mimosa-like leaves close up at night. Can be grown as a potted tree. Flowering quince (Chaenomeles speciosa) is a deciduous shrub valued for its masses of showy white, red or pink blooms that brighten the landscape in late winter and early spring. Average height: 3-6 feet tall. Hardy in zones 4 through 9. Cypress Vine (Tóc Tiên )- 'Ipomea quamoclit A delicate, lacy vine with bright pink flowers. Leaves are bright green and delicate like those of cypress. Attracts hummingbirds and butterflies. Self-seeded. 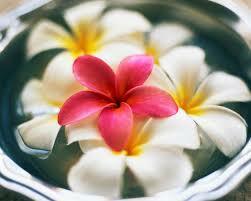 Lotus (Hoa Sen, Liên Hoa)- An extraordinary flower, the lotus is sacred in Hinduism and Buddhism. Contrary to popular belief, lotus is winter hardy, and survive in the wild even in zone 4. Dwarf lotus can be grown as a pot plant. 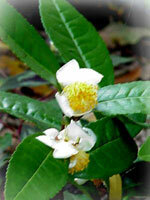 The large bloom, lasting 3 to 6 days, is strikingly beautiful and exotically fragrant. 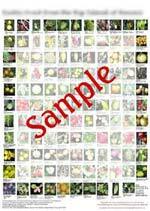 View our selection and growing instructions. The leaves of this plant is used to make many kinds of tea. New growth (the few leaves at top of branches) are used to make green tea: dry them in the shade for half-day, then simmer in an uncovered pot for an hour. A vigorous, fast-growing vine with bright red flowers. Leaves are bold, dark green, resembling a spread-out wing of a bird. Attracts hummingbirds and butterflies. Self-seeded. This mimosa is similar to Mimosa pudica. This species does not have spikes (thorn-less). A perrennial ground-cover, the plant is self-seeded. Very easy to grow. 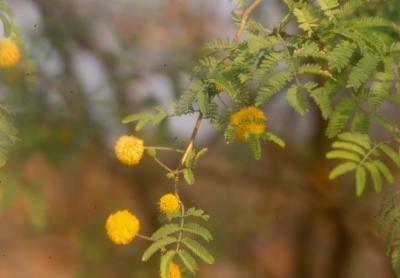 Sunshine mimosa prefers loamy or sandy soil, but it can adapt to any kind of soil. In one year, it spread from 1 single plant to cover 10 square feet. Pink flowers, bright green fern-like leaves. ALBIZIA julibrissin "Silk tree"- Hợp hoan- Beautiful tree with spreading horizontal branches laden with delicate, feathery pinnate leaves. From Iran to Japan this 33' tree is enormously popular for its display of pinkish white flowers which cover the canopy in a starburst of color. For warm zones. 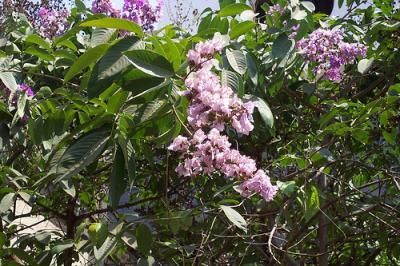 LAGERSTROEMIA indica, x. 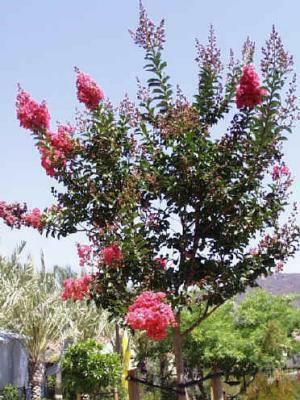 "Crape Myrtle" Very popular flowering tree for warmer zones. Thin, stiff branches with small elliptic leaves and covered with profuse blooms in summer. 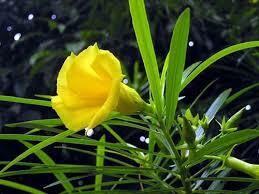 Flowers are frilled, scentless and usually pink. We offer a mixture of various shades. Full sun. 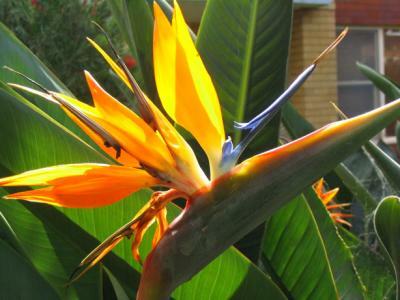 STRELITZIA reginae Bird of ParadiseThis is the best known of the Birds of Paradise - with leathery leaves to 3', trunkless and clumping; the flowers are in bracts shaped like a bird's beak with various colors of green, purple, red, orange, yellow, and blue. These are one of the more exotic flowers seen in most floral arrangements. All Strelitzias are tropical and may be grown indoors in bright light and warmth. Copyright © floraexotica.ca. Last Updated 06-Mar-2008.